Most times, victims of auto and motorcycle crashes have to endure a lot of pain and discomfort. This mechanical mishap has cut short the lives of many and rendered so many others useless leaving such persons to rue what might have been. After such a terrible episode, they may not be able to use some key parts of their body again and this will invariably lead to an enforced retirement from work. Whether it is a car crash or a motorcycle accident, none is pleasant. Thankfully, there are quite a number of legal outfits who try to fight to secure compensation for this group of persons. Rawa Law Group has an experienced group of accident lawyers. In fact, all we are set up to do is to strive to secure compensation for accident victims. 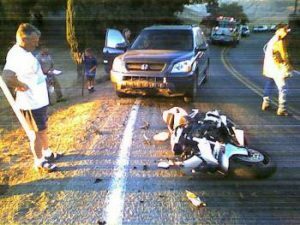 We have experienced car and motorcycle accident attorney in Hemet who are even available to visit you at home or in the hospital. What this means is that we are at your beck and call. Furthermore, based on industry standard, our services are affordable and we offer free case evaluation. Also, we do not get paid unless we win your case. Another reason why you should consider us is that we keep you abreast of all developments as it concerns your case from start to finish and as a motorcycle accident victim, you can get personal, one-on-one attention from a qualified motorcycle accident attorney. We are a superior five-star law firm and our track record also speaks volume. Over the years, we have recovered hundreds of millions in settlement for our clients through our relentless, tireless, advocacy for the injured. Everything we do is geared towards alleviating the sufferings and pains of car and motorcycle crash victims because, in fairness, they never chose to be in such a terrible position. Therefore, if you are in need of a top quality motorcycle accident attorney, do not hesitate to call on us because with a wide array of juicy offers, we know our onions and we are the best at what we do.